At Bicycle Quarterly, we sometimes discover products that are superb, but nobody imports them to North America. Or our research indicates that certain classic components work better than those available today, but nobody is making them. We have suggested some of these products to existing manufacturers. I told Paul Price how wonderful centerpull brakes were, and sent him a set of Mafac Racers. The Paul “Racer” centerpull brakes were the result. In other cases, we have imported cycling components to make them available to North American cyclists. For example, we now import Grand Bois tires and components, as well as SKF bottom brackets. There are plenty more components that we would like to have available. We are starting Compass Bicycles Ltd. to provide these components. Compass Bicycles will take over the bicycle components from Bicycle Quarterly Press, which focuses on publishing the magazine and books. In addition to the components already on offer, we are working on a number of new components. Compass Bicycles’ first new products are Grand Bois 650B fork crowns with matching Kaisei “Toei Special” fork blades. These classic fork crowns provide the right amount of tire clearance for 38-41 mm tires. The crowns are a reproduction of those used by René Herse and Alex Singer, which have proven themselves over decades of hard use. The fork blades use the “Imperial Oval” cross section at the fork crown for strength, and a small diameter in their lower half for optimal shock absorption. 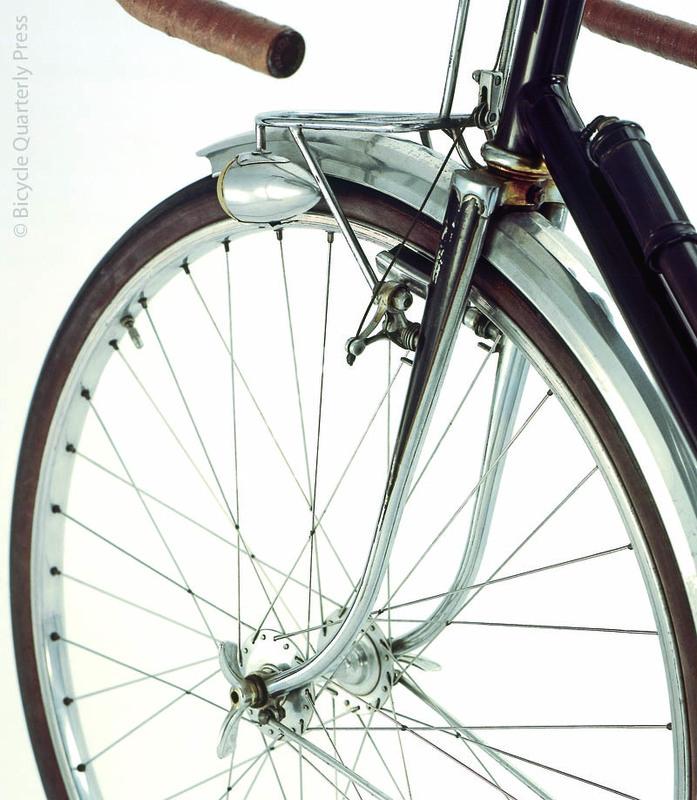 The small diameter near the bottom also makes them easy to rake to a graceful curve, as on this fork raked by Mark Nobilette for a René Herse bicycle. 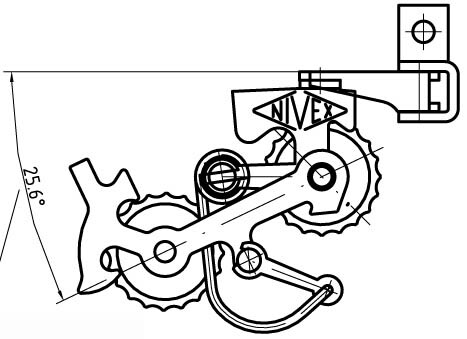 For the future, I dream of a Nivex derailleur, with constant chain tension, superlight weight, and immediate, light-action shifting due to its twin-cable operation without a return spring. I still use Maxi-Car hubs on my bikes, with twin labyrinth seals and adjustable cartridge bearings. A cassette-hub version of these would be nice. 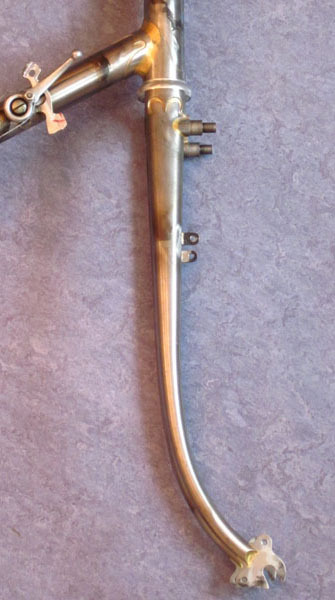 I also would like to see a centerpull brake with forged arms for light weight and safety, so that riders no longer have to scour eBay for “new old stock” Mafac “Raid” brakes. As before, the Bicycle Quarterly team will develop and test all components before they become available. You will know that the components you buy from Compass Bicycles have proven themselves over thousands of kilometers. Check out the new web site www.compasscycle.com. Fabulous news for all of us! At long last we’ll have some components made well the first time! Please tell me that the new brakes will work with standard canti bosses. Centerpull brakes should use centerpull bosses. Canti bosses are relatively large. This is great for cantilever brakes, which have a lot of “meat” at the pivot anyhow. Furthermore, the pivot sits below the tires, where you have plenty of space. Using a large pivot on a centerpull, you get a bulky brake, which is heavier, but most importantly, the large pivot encroaches on tire and fender. You can make the brakes wider to move the pivots outward and provide clearance, but then the pivot no longer lines up with the center of the fork blades on most bikes. Mafac realized all this when they developed the “Racer” centerpulls during the early 1950s. 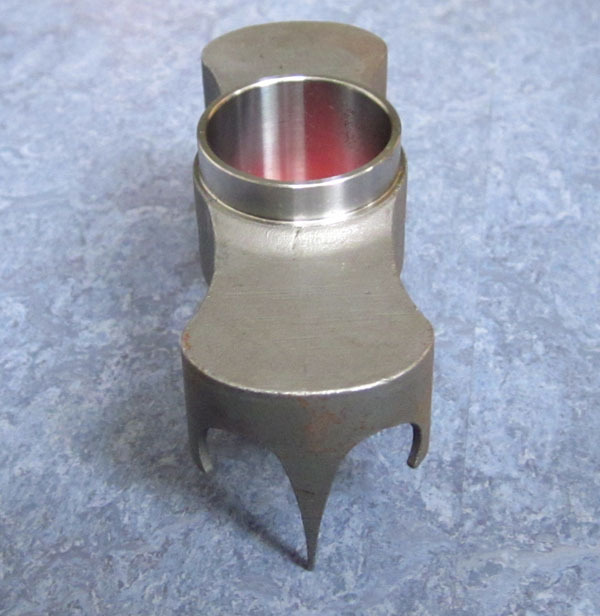 They had introduced what have since become “standard canti bosses” in the 1940s for their cantis, but they designed a new, smaller boss for the “Racer” centerpulls. In any case, the bosses for cantis and centerpulls are in different places, so you cannot replace one brake type with another on your bike. 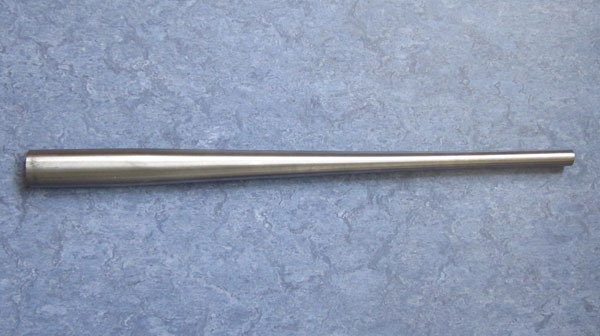 Once the new brake comes to fruition, it will use standard centerpull bosses (which we will offer as well). That way, if you have a bike with brazed-on bosses for Mafac, Weinmann or Dia-Compe centerpulls, you can use these brakes. However, these projects take a lot of money and time to develope, so don’t hold your breath! Congratulations! The fork kit is very exciting, and so are the other projects. Best of luck to you! I look forward to the “new” products you will make available. Few others have your perspective on what kind of gear works well for randoneuring and cyclotouring. The Nivex derailleur, Maxi-Car cassette hub, and the Raid replacement are just what I want for my dream bike. They can’t come soon enough. This is great news! I’m looking forward to trying some of these products. Have you written an article that describes the differences between the MAFAC brake models? Bravo! I applaud this decision. The components business has, I think, gotten big enough and important enough that it deserves a company of its own, rather than being a potentially distracting sideline. I hope the change can address some of the persistent questions about potential COI as well. Regarding those Maxi-Car hubs: cassette would be nice. Maxi-Car might have solved the axle breakage problem, but a revival wouldn’t solve the problem of freewheel availability. Sure, there’s NOS and ebay, but the days of cog boards and custom gearing options is 30 years gone, as are the best freewheel bodies. Congratulations and good luck. I know you have good connections to good old Germany. Is there any hope that you will find a distributor for the Grand Bois Stuff here in Europe so we dont have to bother with customs etc.? I know M-Geneering in NL hassome Grand Bois stuff, but can that be on a larger scale perhaps? The German market for performance “real-world” bikes is very small. So far, nobody has expressed interest in distributing our products. Perhaps that culture is changing, and once there is demand, the parts will become more widely available. In the mean time, we try hard to make it easy for international customers to order from us.